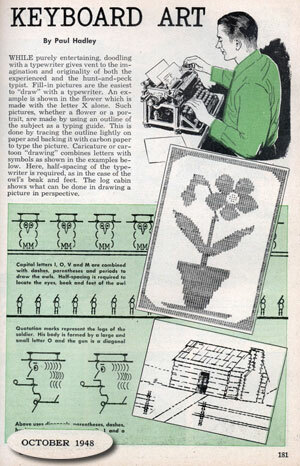 ASCII art from the past… 1948!! grab your typewriter and do art! Who would have thought of something like ASCII art being done that early?